Here, we will discuss some of the ways to stream Kodi content on to your TV using Chromecast. You can choose whichever way you find easy to follow. You can do it through your smartphone, PC (Windows or Mac OS), and iOS device. So, we will get straight down to our first method. 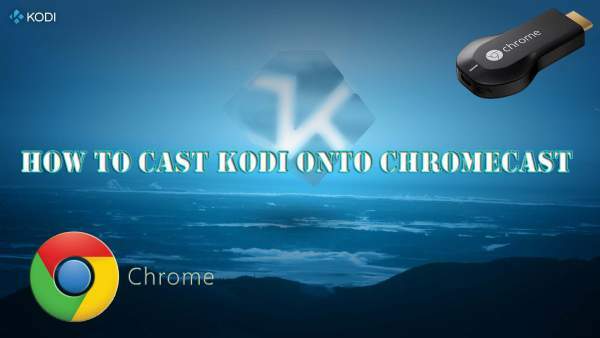 How To Stream Kodi To Chromecast TV Using Android Phone, PC (Windows or Mac)? 1 How To Stream Kodi To Chromecast TV Using Android Phone, PC (Windows or Mac)? This seems to be the easiest of all the methods to stream the content of Kodi to Chromecast out there as all it requires is just your smartphone running on Android. That’s all! And this method doesn’t consume a lot of battery on your phone. Just in case if you are worried about this. 1. To start with, we need to have some of the apps installed on your phone. First of all, the very media center. No doubt about that. 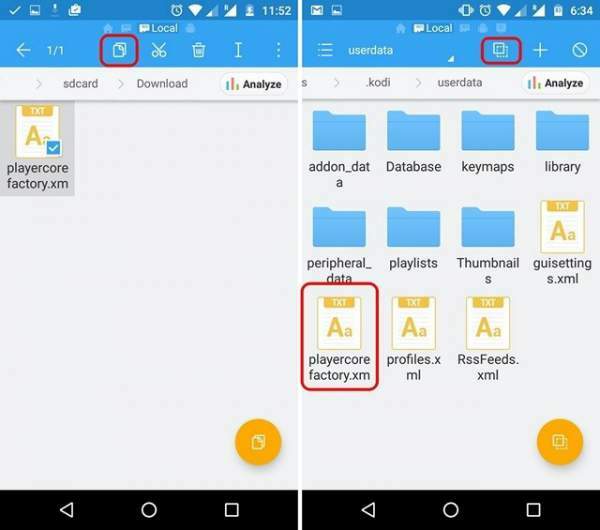 And along with that, an app called LocalCast and the well-known ES File Explorer (or you can also go with any other file explorer app which lets you in the trove of hidden android files. 2. With these apps in your kitty, it’s time we get down with the business. download this .xml file dubbed PlayerFactoryCore (use this link-https://app.box.com/s/l1c5v86qnaaqqd0ue2o5 ). 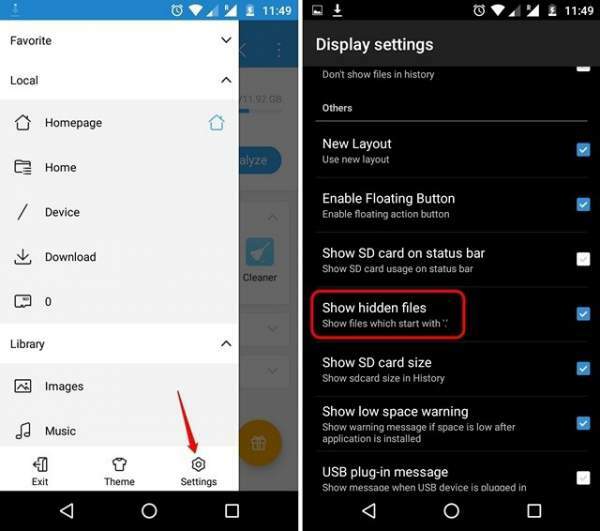 Once downloaded, open ES File Explorer and from settings, enable “Show hidden files”. 3. Then, go to the “Downloads” folder and find & copy the PlayerFactoryCore.xml file you downloaded. Paste the file in Android -> Data -> org.xbmc.kodi -> files ->.kodi -> userdata folder. 4. Done with that? Now, open Kodi and play your video. You will be asked to choose casting app (if you have installed many). Anyways, choose “LocalCast” in any case. 5. Then, choose your Chromecast device and then click on Play, which should play your Kodi video on the Chromecast connected TV. Check: Fallout 5 Release Date. Here, we will be using Google cast’s “Screen Mirror” feature to stream Kodi on TV using Chromecast. 1. 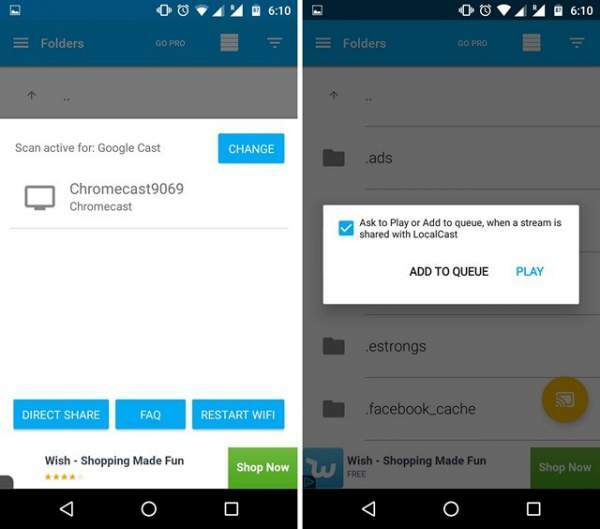 Install Kodiapp and the official Google Cast app on your Android device. 2. 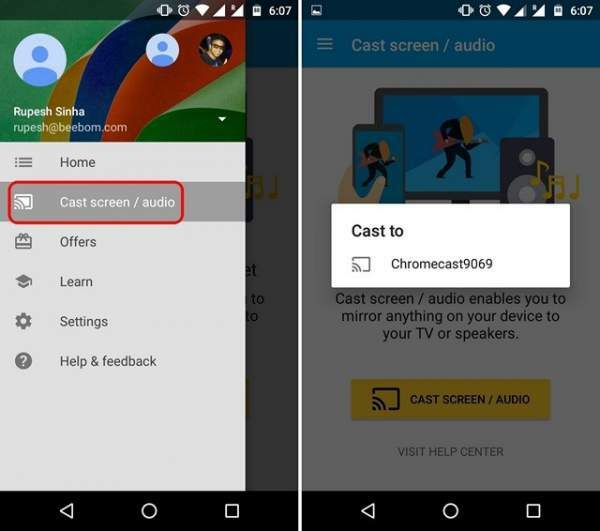 Open the Google Cast app and tap “Cast screen/audio” from the options using your hamburger drawer. You should then get a prompt saying “Screen casting is not optimized for this device; your experience may vary”. Ignore it and select “OK“. 3. After this, the app will search for Chromecast devices, choose your Chromecast device and your device’s interface would be mirrored to your Chromecast connected TV. 4. Now, open up Kodi and play any video you want. The video should then start playing on both your Android device and your TV. Note: The main drawback of this method is that you can’t use your phone as the video will be played on your phone also. Also, it consumes a lot of battery. And the streaming to Chromecast was a bit laggy. This method, like the last one, also uses the Google cast’s “Screen Mirror” feature to stream Kodi on Chromecast connected TV. 1. Install the Kodi client on your PC or Mac. Also, make sure to install Chrome along with Google Cast Chrome extension. Note: the first time users may need to install Chromecast Setup Client. 2. Open Chrome browser on your PC and click on the Google Cast extension. You will see a very small drop-down button alongside an option “Cast this tab to…”. Click it and hit “Cast screen/window (experimental)”. 3. You will be asked to share the entire screen or just the tab opened up. Select appropriately. 4. That’s all. Open Kodi and start playing your favorite video and you will be able to see it on your TV screen. Note: Like the previous method, the Kodi client is required to be running in the foreground on the PC. If you turn off or lock or sleep your Windows PC or Mac, it will stop working. Thus, it's not the best way, but a workaround for presentation or showing something to a larger audience. 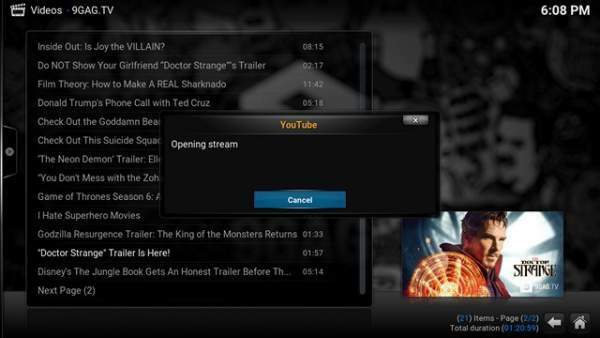 Thus, the first method is the best one to stream Kodi from your smartphone. as the playback is flawless and you can also multitask on your Android phone. If you have an Amazon Fire Stick, you can run the app on to it too. Being an open source media platform, it is both legal and freeware, i.e., free to be downloaded. But, it has a very customizable nature. And not all addons provide legal streams. So, we don’t condone illegal or nefarious downloads. It is the duty of the users to comply with their country’s applicable laws in regards of it use. Stay tuned to TheReporterTimes for latest tech news. The cool thing about this app is it lets me watch content on my device easily if I don’t want to chromecast the content, just tap the app icon! It also lets me choose a different media player other than the default Kodi player to view content on my device.